Delizioso Skincare’s Pressed Mineral Eyeshadow has a highly pigmented, long lasting, smooth and easily bendable formula. 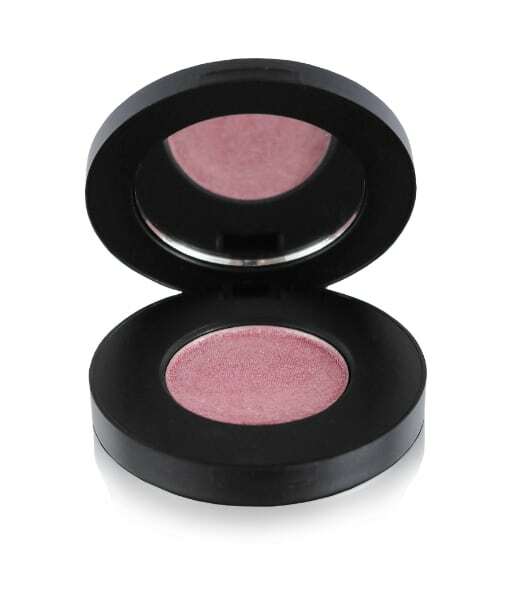 Created with pure ingredients, the all natural and vegan eyeshadow creates a flawless, glamorous eyeshadow look for ladies of all ages, while being gentle on sensitive eyes. Light Pastel Baby Pink. A soft rose pink with neutral undertones and a luminous finish. A luxury, sleek black compact with a mirror. Mica (natural mineral pigment), Boron Nitride, Magnesium Stearate, Magnesium Myristate, Silica, Zinc Stearate, CaprylicCapric Triglycerides (Coconut Oil) & Allantoin. Ingredients: Mica (natural mineral pigment), Boron Nitride, Magnesium Stearate, Magnesium Myristate, Silica, Zinc Stearate, CaprylicCapric Triglycerides (Coconut Oil) & Allantoin.